Now that Proserve's business model has gone up the spout, Stephen Duff has apparently found a new way to spend his time. HHJ Moloney last week established that Mr Duff's signage was gibberish, and that any damages for trespass must be limited to the actual costs involved. Although HHJ Moloney guessed that this would be around £60, (rising to around £100), a truer figure based on that given by large numbers of parking companies in their submissions to POPLA, would be around £20. Ransomes have a duty to mitigate costs, so rather that pay Mr Duff's inflated fees, they should, going forward, find a firm to do it for them at the market rate. Rather than scooting around business parks slapping on £20 tickets for trespass, it appears Mr Duff has found a new hobby. He has contacted Pepipoo, accusing various posters of making fabricated statements and defamatory comments regarding himself and Proserve. He has asked for identifying details so that he can commence unspecified court proceedings, and has threatened to apply for a court order if they don't cough up. As Stephen Duff posts as Lasty705 on the forum, where he impersonates a lorry driver, he will be well aware that the only details Pepipoo hold on posters are an email address and an IP address. It is not known what he thinks he can do with these, but as a precaution The Prankster asks that his email address of prankster@parking-prankster.com not be passed on to Mr Duff. It is not likely Mr Duff really intends court action. A cursory check by The Prankster found nothing he could identify as untrue, which would therefore leave Mr Duff with no cause of action. However, as Mr Duff forgot to inform pepipoo which posts he took objection to, The Prankster may of course be mistaken on this. However, Mr Duff has in the past tried to track down the home address of pepipoo posters, and The Prankster suspects this is the real intention behind Mr Duff's latest fact finding mission. This is of course extremely sinister and worrying. Luckily Pepipoo have no intention of providing Mr Duff with any details short of a court order, which he would be unlikely to get. This is good news, as the prospect of Mr Duff turning up on anyone's doorstep is not a pleasant one. Presumably Mr Duff will also be contacting the court for HHJ Moloney's address so he can pop round and discuss his recent business downturn. A motorist forced to pay an outrageous parking charge has gained some satisfaction by helping his friends. The motorist previously overstayed at a free car park while shopping. At the time they were injured and could not move quickly. Eventually, not knowing the appeals system, they were forced to cough up a charge completely disproportionate to the losses involved. Now informed on how the system worked, he helped his friends who visited a leisure centre. They first visited a restaurant which was packed and took a long time to first get a seat, and then get served. After that, they went to the cinema, where Dawn of the Planet of the Apes was enjoyed. This is a long file (2.5 hours including adverts) which ended up taking them 16 minutes over the 6 hour maximum stay. A ticket turned up in the post, and the friend appealed on the grounds of being a genuine customer of the site. The operator turned down the appeal; this does seem strange - after all, the motorist was spending money on site using the facilities and it is not unreasonable to need that length of time to eat and view a film. The original motorist therefore helped his friend at a POPLA appeal, where the appeal was upheld on the grounds of the charge not being a genuine pre-estimate of loss, although he did comment it could possibly all been solved much earlier by contacting the cinema/restaurant. The landowner has the right to impose car parking restrictions, but this does not give a car parking operator carte blanche to charge a fee disproportionate to the costs involved. If the landowner wants to attract visitors to attractions which take a lengthy period, then the car park cannot be used as an entrapment zone to charge huge amounts for minor overstays which do not cause loss to the landowner and which are caused by enjoying the site facilities. The system in this car park does not seem fit for purpose, and the landowner would be better off restructuring the conditions to match the requirements of their customers. Obviously, if you are planning to use the site facilities for a meal and film, then delays do occasionally happen and this cannot be used as a cash cow for the parking operator. The Prankster previously wondered whether ParkingEye would be issuing a profits warning. It seems like other companies are similarly worried about ParkingEye. Here is Experian's take on the matter. There has been a significant fall in shareholders' funds over the latest accounting period. In our view this company is a potentially higher than average credit risk. Our recommendation is to offer limited credit until a good trading pattern is established. Add to your monitoring list. They also have a new unsatisfied CCJ for £490. The Prankster remains concerned about ParkingEye's long term viability and their strategy of putting all their eggs in one basket. If ParkingEye fail, then landowner's may potentially be liable to all parking charges issued on their behalf in the last 6 years which turn out to be unenforceable penalties. The Prankster therefore recommends landowners make a risk assessment of the situation and take any appropriate action. Apparently the Registry Trust have made an error in this case and the CCJ was against the motorist, rather than ParkingEye. ParkingEye have contacted The Prankster, who is happy to put the record straight. The Prankster reiterates the perils of not turning up to a court hearing. In this case, this results in an extra £350 being loaded onto the amount owed due to the defendant being ruled 'unreasonable' for not turning up. Sometimes a driver will receive a windscreen parking ticket, but would rather the registered keeper of the vehicle did not know. The driver, for instance may have been visiting a hospital, and is trying to keep details of an illness from a loved one who may be worried if they found out. They may have been a naughty boy or girl, and were dallying with someone they should not have been. Or they may simply want to appeal the parking charge but know that this causes distress to their partner. For whatever reason, they can deal with all these situations by naming themselves as a driver and providing an accommodation address to the parking company. As long as the driver can conveniently be contacted at the accommodation address, then the conditions of the act are satisfied. The driver can then deal with the parking appeal, secure in the knowledge that the registered keeper will not be contacted by the parking company. The parking company in these situations is only allowed to contact the DVLA after 28 days has elapsed, so to be doubly safe, the parking company should be contacted well before the 28 days are up, and a free proof of postage should be obtained. If the parking company then contacts the DVLA to get keeper details, this is a breach of the Data Protection act. They should be reported to the Data Commissioner (http://ico.org.uk/concerns/handling), where they may be liable to heavy fines. They should also be reported to the DVLA (ccrt@dvla.gsi.gov.uk), as this is a breach of their KADOE contract, and can lead to suspension from access to the DVLA database. An interesting side effect of using an accommodation address is that parking companies are statistically more likely to cancel the parking charge. The reason is not known, but it may be due to the higher cost in pursuing the driver. [Update. ParkingEye have asked for corrections to be made to this post. The Prankster has reviewed the text and accepts that the phrase 'it has been reported the hoax call was made by ParkingEye' should read 'it has been reported the hoax call was made by an associate of ParkingEye'. The place where this was reported is here, as previously blogged. As reported on pepipoo, on Friday 24 Octover 2014, HHJ Moloney sitting in the small claims appeal court in Norwich heard the appeal of Ransomes v Anderson. In his judgment HHJ Moloney rules that the signs Ransomes were relying on were gibberish, and could not form a contract with the motorist. However, he did rule that a trespass had occurred. He ruled there was no justification for charging £150 and invited counsels for both parties to agree on a figure. Sadly Mr Anderson's counsel, with little experience of parking companies, could not persuasively argue that the average cost of processing the paperwork in such an event is around £20. This was established in ParkingEye v Beavis, where HHJ Moloney also presided. HHJ Moloney therefore plucked the figure of £60 out of the air for an initial fee, plus £37.50 to cover extra administration because Mr Anderson did not pay immediately. This total of £97.50 (discounted to £60) is the same as car parking companies charge - although of course Proserve is not a car parking company because if it were then it would not be able to get data from the DVLA unless it belonged to an ATA and ran a proper appeals service. In setting this fee, HHJ Moloney did not appear to take into account the fact that Proserve had already been paid for their services by the estate occupants and this was therefore double charging. In a bizarre ruling, he also ordered Mr Anderson to pay half the appeal and transcript costs, totaling £570 (so £285 for Mr Anderson). Thus, even though Mr Anderson established Ransomes were not allowed to charge him £150, he still lost more money than if he had simply paid up. Such are the perils of the small claims court. This leaves Ransomes in a deep financial hole. According to Mr Duff of Proserve, there are more than 700 outstanding cases. Assuming these are all Ransomes cases (although Proserve does operate at other sites so they may not be) then for each case Ransomes either owe or have paid Proserve at least £150, and yet can only reclaim at most £60 from motorists. This leaves them with a hole of £63,000 in their accounts. Taking into account that motorists would actually have a good case for offering to settle for £20, then the hole may be as large as £91,000. As some drivers are charged £250, then the hole will be even larger. Meanwhile, Mr Duff of Proserve has continued ticketing since he declared 700 cases were outstanding, and so Ransomes plunge even deeper into debt to Proserve. Meanwhile Ransomes will have shelled out around £5,000 to £10,000 for their counsel, and so this will put a serious dent in their cash at bank. Proserve are not part of any parking trade associations, such as the IPC or BPA. They obtain driver details from the DVLA on the grounds of trespass. However, they set their fees at whatever they like, unrestricted by the £100 cap, are not bound by any code of practice, and provide no legitimate appeals service. In light of the ruling, the DVLA might like to consider barring Proserve until they change their signage and reduce their fees, at least to £60, but ideally £20. It is not yet known if the DVLA are aware of the court ruling. Report from the courtroom is that Mr Anderson's representative was outgunned by Ransomes barrister. He failed to bring to the attention of the judge the artificial nature of the financial arrangement between Proserve and Ransomes or the other dodgy practices. At the start of the hearing HHJ Moloney reported he had received letters informing him that Mr Duff of Proserve was under investigation for conducting illegal litigation. He stated he would not comment on this and it would not impact the current hearing. He also said he had a request to tweet, but in light of the Cambridge hearing he would refuse this. He also stated he was still unaware of who made the prank call. HHJ Moloney must now be the only person in the country who does not know it has been reported the hoax call was made by an associate of ParkingEye. Additionally, they are both the only people with a motive and the only people who knew enough about the case to make a fool of their own barrister, Mr Altaras. ParkingEye's motive was that HHJ Moloney refused to change the date of the hearing so they could use their preferred barrister, Jonathan Kirk QC. After the adjournment, Mr Kirk was available for the new hearing date. The Prankster suggests that HHJ Moloney contact Rachel Ledson, head of legal of ParkingEye, who is fully aware of all available information regarding the hoax phone call and of the names of the two people arrested. The Prankster wonders whether ParkingEye will be issuing a profits warning soon. Large numbers of motorists are cottoning on that their charge levels are too high, and appealing to POPLA, where ParkingEye do not even bother to defend the appeal. Motorists can appeal by themselves, but it is better to get help from forums like MoneySavingExpert and pepipoo, where success is guaranteed. For motorists who are busy and do not have the time to spare, services such as ParkingTicketAppeals will do the work for you. ParkingTicketAppeals alone are costing ParkingEye over £1 million a year in lost revenue, and another £250,000 in POPLA fees. They charge £16 and guarantee that your ticket will be cancelled or they will pay it for you. 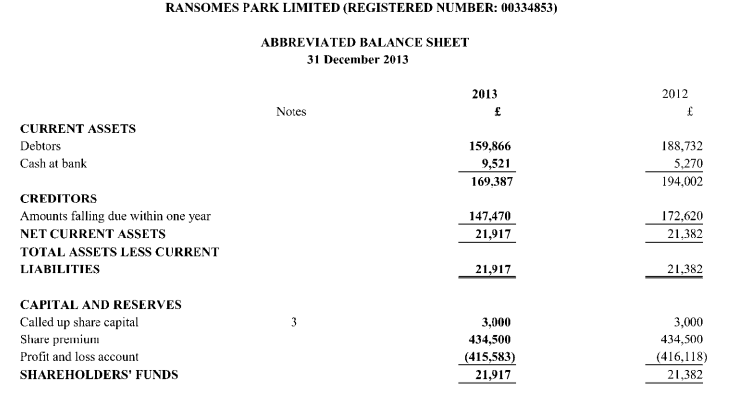 ParkingEye's operating profit in 2013 was £1.6 million. Taking the figures at face value and assuming no other change, this means their current profit could be slashed to £350,000. If a few more motorists become aware of services like ParkingTicketAppeals, then ParkingEye's accounts could easily slip into the red. The Prankster will keep an eye on the situation, and an ear to the newswires to see if a profits warning is in the offing. One way for ParkingEye to resolve the situation would be to set their charges to a level which is a genuine pre-estimate of loss. This was shown to be just under £20 in ParkingEye v Beavis and Wardley. Currently, with charges at 5 times this level, they are in breach of the British Parking Association code of practice, which requires that charges be set at a genuine pre-estimate of loss. The number of tickets issued incorrectly by ParkingEye has shot up from half to two thirds, as confirmed by recent documents used by them in court cases. Previously ParkingEye stated that they had to cancel 55% of appealed tickets. This has now increased to 65%, according to ParkingEye's witness, claims handler David Greenbank. Although ParkingEye regularly lie in court, file false and misleading evidence, and redact parts of documents relevant to the case, The Prankster believes David Greenbank is telling the truth in this instance. The Prankster has found David Greenbank to be slightly more reliable than his predecessor, Jonathan Langham. Obviously, there can be no confidence in a system in which the parking operator admits only 1/3 of tickets are issued correctly; The Prankster has his doubts about the remaining third, as do POPLA, who cancel all ParkingEye tickets appealed to them on the grounds that the charge level was not a genuine pre-estimate of loss. ParkingEye's overall record at POPLA last year was that 38% of appeals were upheld. This translates to an overall figure of 78% of tickets being incorrectly issued, or almost 4 out of 5. (This assumes tickets which were not appealed are also issued incorrectly in the same ratio of appealed tickets). Issuing incorrect tickets causes a great deal of stress to motorists and landowners. B&Q cancelled ParkingEye's contract because it was alleged they lost a 7 figure sum due to a drop in trade while ParkingEye were aggressively operating their car parks. Although it would be difficult to prove the entire sum lost was due to ParkingEye, it is noteworthy that trade has picked up now that ParkingEye are gone. As ParkingEye issue such a large amount of tickets incorrectly, it therefore follows that their raison d'etre is not to enforce car parking rules, which their own figures show they are spectacularly bad at. The only remaining conclusion is that ParkingEye issue large amounts of incorrect tickets in the hope of bullying motorists into paying, even though in at least 4 out of 5 cases, the motorist should not. Figures released by ParkingEye in court show that parking compliance only improved by 1/3 after a month of operation. This proves that neither landowners nor ParkingEye are terribly interested in compliance; the whole point of the operation is to milk motorists for huge sums of money. Although ParkingEye argued in court (ParkingEye v Beavis) that their contract would be terminated by the landowner if motorists did not comply with parking rules, these figures show there was no factual basis for that claim. Excel have released a new version of their genuine pre-estimate of loss calculations (version 2.0). This makes it at least the sixth different explanation used since July 2013 (not counting sub-variants used for manual/ANPR, POPLA/Court and Excel/VCS). The documents are internally inconsistent, leading to the inescapable conclusion that Excel are not telling the truth in one or more versions. For instance, the 'final reminder process' is costed at £4.41 in 1.4, £6.92 in 1.8 and £2.72 in 2.0. Excel Parking believe they can get away with these lies because each POPLA case is handled independently and assessors do not refer to previous versions. Similarly in court cases judges will not refer to old cases. As a service to motorists The Prankster has therefore compiled a full list of all known versions and made them available on his website, together with an analysis of the charges. Using Excel's own figures, The Prankster has calculated the true GPEOL to be £13.13. This is in line with known costs from other parking companies, such as ParkingEye. Motorists can download these documents and use them as evidence in POPLA and court appeals. Car parking companies are known to collude with each other and swap information about how to fool POPLA with fake GPEOL costings. This can be shown by the similarity between operators GPEOL explanations, and how changes in one operator's explanations are matched by other operators. Although the analysis is fairly detailed and too long for a blog entry, the conclusions can be reported as follows. Excel have submitted a number of different GPEOL documents to account for their costs. These cannot possible be ‘pre-estimates’ because they continually change in response to losing POPLA appeals and court cases. Excel’s various GPEOL documents are contradictory, untrustworthy and use dubious accounting practices. POPLA has discounted many of the heads of cost as not being losses resulting from a breach, such as write off allowances. An analysis using publically available figures puts the true average cost per ticket issued at around £15. Their car parks are clearly run as a regime to maximise income from penalty charges. No attempt is made to mitigate losses. The charges are arbitrary and wholly out of proportion to the £15 actual costs. Up to now parking companies have resisted making small claims in Scotland. There, the Protection of Freedoms Act 2012 is not applicable, so only the driver can be held liable. However this newspaper report details that UKPC have issued a number of small claims in Scotland for parking events in Gallagher Retail Park, Dundee. Two cases were held in Dundee this week, three cases in Forfar ,and a further case is scheduled in Dundee next month. This may well be an experiment to test the waters in Scotland. If large numbers of drivers pay up when a small claim is received, it may be worth issuing them even if UKPC lose in court. Presumably if a case gets to court UKPC will hope either that the motorist admits being the driver, or that the judge on the day thinks that on the balance of probabilities, they were. No doubt other parking companies will be watching closely. The Prankster lives near Dundee, so if any motorist wishes to get in touch for help and advice, please use the usual contact email address; prankster@parking-prankster.com. The British Parking Association advisory panel have recommended changes to the AOS code of practice which remove requirements for parking charges to be a genuine pre-estimate of loss. Instead, the charges must be 'commercially justified'. This is a dangerous change which would essentially allow operators to charge what they would like, removing all checks and balances, because this phrase can be used to mean anything. The change is scheduled for the August 2014 release of the code of practice, although this has not yet been released. The change would not be retrospective, so previous tickets must still be a genuine-pre-estimate of loss. Robert Toft of the DVLA was present at the meeting, which took place at the Institution of Highways & Transportation on 17th July. It is not known whether the DVLA objected to the change. Jo Abbott of the RAC were also there. It is not known whether the RAC objected to the change. Members of the RAC may wish to enquire what the RAC view is. Other attendees were Gary Brierly (Debt Recovery Plus), Grahame Rose (CP Plus), Philip Hammer (Cambridgeshire County Council), Jo Abbott (RAC), John McArdie (BPA), Simon Renshaw-Smith (Excel), Spencer Palmer (London Councils), Patrick Troy (BPA), Kelvin Reynolds (BPA), Jane Hack (BPA), Steve Clark (BPA) and Dave Smith (BPA). The change may be premature. The change has been introduced following HHJ Moloney's judgment in the ParkingEye v Beavis case. However this is being appealed and the appeal is due to be held in February 2015. Following on from the earlier hearing where Excel Parking had to pay £80 for failing to provide information necessary to defend the claim, the second hearing has now taken place. At the start of the hearing it turned out that Joel Douglas, Excel's paralegal, had left the company. His place was taken by a solicitor from an outside firm. DJ Lettall began proceedings by stating there were two points of procedure to deal with first. Firstly the defendant had a lay representative, The Prankster. DJ Lettall asked if Excel had any objections. It turned out they did. DJ Lettal pointed out that under the Lay Representatives Act 1999 (of which The Prankster just happened to have a copy) The Prankster had a right of audience by default in the small claims court. He therefore asked if there was any specific objections Excel had. Excel stated that under the circumstances they withdrew their objection. DJ Lettall then explained there was a second problem. Excel Parking had quoted ParkingEye v Beavis in their statement of case. He explained that several parking companies had quoted this case without also informing the court the case had been appealed and was going to the court of appeal. He did not look too pleased about this state of affairs. Excel's representative with a perfectly straight face said they had no idea the case had been appealed. (This may of course be true. As a solicitor he may not have been properly briefed by Excel). DJ Lettall explained that although he did not know why the case had been appealed, it was possible that the appeal reasons had to do with objections to commercial justification of the charge. He explained that if he considered the current case and found that the charge was not a genuine pre-estimate of loss, then as he was not as senior as HHJ Moloney he would be bound to find HHJ Moloney's judgment persuasive as find that the charge was commercially justified. There would then be a real problem if the appeal court reversed HHJ Moloney's judgment. The Prankster then piped up and explained he happened to have a copy of HHJ Moloney's leave to appeal lying around if that would help clarify matters. DJ Lettall read the leave to appeal and explained to Excel that the leave to appeal was indeed to examine the commercial justification angle. The Prankster confirmed that Mr Beavis had indeed appealed on these grounds, that the case was scheduled to be heard in February, and that the judgment was expected within 4 weeks of the hearing. DJ Lettall explained* that Excel could not whack in whatever sum they wanted, and expect to get a smaller amount if that was deemed a penalty. They have one shot at setting a figure and the claim will be dismissed if that was set too high. DJ Lettall then stayed the case until 14 days after the Beavis case, after which time the parties should file written confirmation of what further directions were sought. Costs were held over. This left Excel carrying the can for their solicitor which would add an estimate of at least £200-£300 to their costs. These would not normally be awarded unless the defendant was behaving unreasonably. DJ Lettall has already warned Excel he may judge they are behaving unreasonably for not referring the case to POPLA, which would have capped their costs at £27. The Prankster told DJ Lettall he had several other Excel cases in Stockport and asked whether they should all be stayed in order to save time for both parties and the court. DJ Lettall explained he could not possibly comment on other cases. The Prankster therefore told Excel he would write to them with a list of cases to see if they wanted to mutually agree to stay them. The claim from Excel was for non-display of ticket. However, this was not an event listed on signage. for which a parking charge notice would be issued. The Unfair Terms in Consumer Contacts Act 1999 applies and the motorist is entitled to interpret the signage in the most advantageous way possible. In this case, the most advantageous way is that non-display of ticket is not a contravention for which Excel can issue a parking charge. 2) Any motorist where Excel have quoted ParkingEye v Beavis should write to Excel asking whether it would be best for all parties to stay the case, now they know (from A0QZ8099 Excel v Ms. X, 06/10/2014, Stockport County Court, in front of DJ Lettall) that Beavis is being appealed. 3) Any motorist with a hearing should take HHJ Moloney's 'leave to appeal' with them, which can be downloaded from The Prankster website. The Parking Prankster has been passed a case report from a BMPA lay representative regarding a Devere claim in Bournemouth. The Prankster has searched the internet for other cases, but can find no other wins. This may therefore be the first time Devere have lost on their home turf - although of course it is possible that they have lost other cases which have not been reported. Devere's case was that a ticket had been issued for non display of permit, as per the signage. The BMPA representative started the defence by questioning Devere's right of audience on the grounds that Devere was acting as agent of the landowner, and the landowner was not present. The judge, DJ Williams, ruled that as the claim was in the name of Devere there was no problem. The BMPA representative further argued that as the Devere representative was not a director and had no letter of authorisation he did not have standing. The judge ruled it was possible that he had oral permission. The BMPA representative then mentioned that following a case against Devere earlier in the week he had since looked up ownership of the car park on the Land Registry, and that it was not owned by the parties to the contract. The land was owned by Key Properties Investment No 4. This company was 100% owned by Key Properties Investment. This company was 50% owned by St Modwen Properties, and 50% owned by a Saudi prince. The BPMA representative explained that for example if he himself owned land this did not mean his father, grandfather or daughter could use it without written permission, and the same applied to companies. Devere argued that is was highly likely that St Modwen did have permissions in place, given that they were a billion pound company and would therefore know what they were doing. The BMPA representative argued that this did not follow and without evidence showing the chain of authority that Key Properties 4 allowed Key Properties who allowed St Modwen to sign on their behalf, there was no evidence Devere could carry out car parking operations. Thus, without written evidence the claim must fail. The judge explained that the situation was even worse and that the claim would fail anyway even with permission because the contract was not in the name of the landowner. St Modwen could theoretically have permission to sign the contract, but even if they did, they would have to sign on behalf of the landowner, not themselves. He dismissed the claim and awarded costs of £90 for loss of earnings and £3 for Land Registry fees. Devere asked if the judge would order that the result be kept confidential, as otherwise this would appear on the Parking Prankster's blog to Devere's detriment. Judge Williams explained that it was not within his power to make such an order as the case was held in open court. The BMPA representative explained that it no doubt would appear on the Prankster's blog, but that as Devere had conducted themselves with decorum in the case, (Prankster - unlike, for instance the typical behaviour of ParkingEye representatives who are happy to win at all costs and mislead the court wherever possible) this would no doubt be represented in the write up. In any case, Devere would have the right of reply the Prankster affords to all parking companies by emailing prankster@parking-prankster.com. After the hearing the Devere representative stated he was horrified that he had trusted a large company to get things right, and that he would be going round to remove the signage immediately. The BMPA representative also gave helpful advice on how to proceed in future and the steps he might want to take to make parking control legitimate. It is encouraging that Devere are taking immediate steps to put things right. Any parking charges paid at Discovery Court may well be unlawful and motorists should claim them back from Devere and possible St Modwen Properties. It is not so encouraging that Devere has been audited by the DVLA and the BPA who failed to pick up on this. The Prankster wonders if the audits are largely a rubber stamping operation with no great diligence shown to investigate potential issues. This also demonstrates that that POPLA's habit of allowing landowner witness statements instead of contracts, and the IPC's refusal to allow sight of any evidence are both fundamentally unsound. Without sight of the contract the motorist is unable to point out the flaws. It is also necessary for the contract to be unredacted - one only needs to note how ParkingEye misled HHJ Moloney in the Beavis and Wardley case into thinking they were acting as principal by redacting the parts that showed they were acting as agents. If a senior judge can be fooled in the most high profile parking case for years this shows how careful the courts need to be.